Tamannaah's first look in SS Rajamouli's Magnum Opus Baahubali. That's why she did films like Happy Days, Kalluri & even a mass entertainer like Oosaravelli (Mar Mitenge in Hindi). Normally if she hadn't shown her true acting potential then nobody would've cared for her as an actress but just another one film wonder. Anushka original height 5.9" and Tamanna 5.5"
@sihan... no anushka is 5'10"1/2 actually and tammana is definately 5'4" like samantha. Looks like another mediocre film like Magadheera. Gautam Menon is not a "Great" director... He still needs to get there.. Vinnaithandi Varuvaaya was not a "Great" film to have a Hindi remake "Ekk Deewana Tha"... Minnale was a good film & so was "RHTDM" but it wasn't something you say "never seen before as far as Hindi audience go... remember Hum Kisise Kum Nahin (1977)." Puttanna Kanagal is a legendary great director, he didn't succeed in Bollywood with a film which we Kannadigas call a masterpiece. Just because that film flopped in Hindi doesn't mean the Kannada version was not a masterpiece. Hirani made 3 Idiots... Did you forgot Shankar remade it as Nanban & made it a Hit on his own terms despite 3 Idiots being the biggest hit at that time? And they do have the balls to spend 150cr+ on their films & they're intelligent enough to know the industry politics. A bollywood talent cannot survive in south because it's our right to destroy any chances of that talent succeeding. Why? Because that's what Bollywood does to our talents. They didn't let Kamal Haasan grow in Bollywood... He took away all the credits for Saagar, stealing limelight from Rishi Kapoor & that's all it took for Bollywood to eliminate Kamal. Shankar tried entering Bollywood with Naayak, one of the most watched & appreciated movie on tv but just go through how much trouble the movie went & how tactfully the Bollywood industry made sure Nayak wouldn't be a success. Baahubali was supposed to be in Hindi too... Makers got clever that's all.. Why question Shankar or Rajamouli.. Does Bollywood directors have the balls to come down to south & survive the competiton, no matter who he is? We've plenty of south Directors who dominated Bollywood once upon a time, how many Bollywood directors made it in the south, forget even dominating? still bahubali going to be one of the biggest hit in the history of indian cinema. @suhas, is it bahubali going to relaese in 15 languages ? 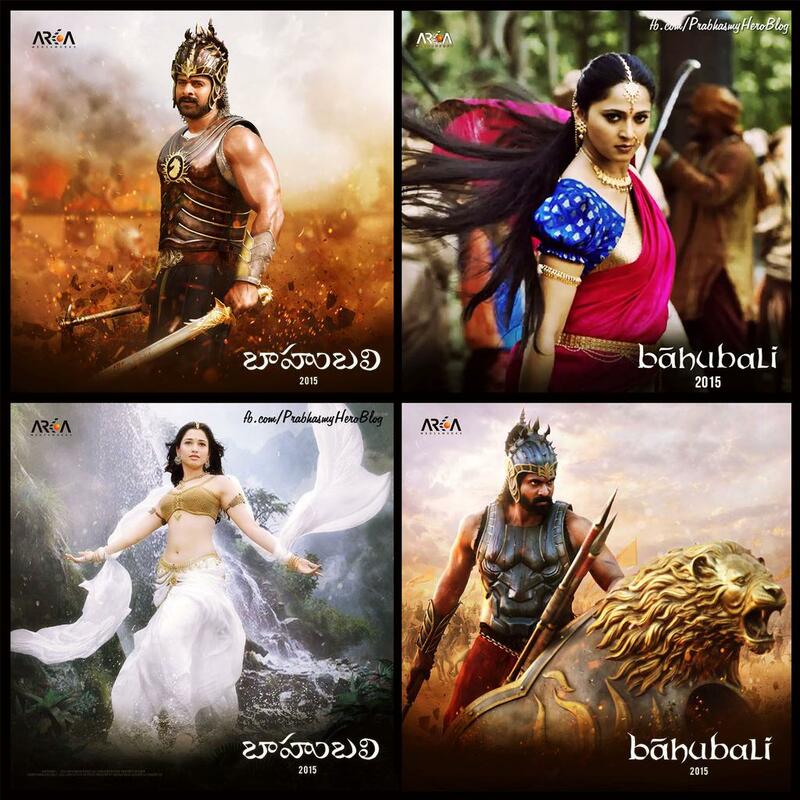 Only time will tell whether Baahubali will be the biggest hit or not.. The makers confident about releasing it in two parts provides lots of hopes. As far as 15 languages & all, it can be confirmed only when the movie releases. 4 languages are confirmed, the rest will be cleared as & when the film's release date approaches. If the film is getting dubbed to French then it's only when the film gets an exclusive release in France, but I'm sure Telugu & Tamil will get the preference first & then the dubbed versions to gain more audience. Original products business potential cannot be hindered by dubbed versions. Dubbed versions get importance only when there's demand for the film & there're no Telugu/Tamil speaking audience in that part of the country. do you know that only native hindi speakers in india 41% (bollywood) generates 43% of total theatrical revenues of indian cinema.whereas telugu 7% & tamil 6%(only native speakers) generates 38%(19+19%) total indian cinema..
can any bolly director survive in south??? and more over bollywood is not the complete indian cinema it is strictly BIG REGIONAL CINEMA..
Share your views on SS Rajamouli's magnum opus Baahubali's official poster. Film releases on 10th July 2015. Exclusive Hindi Theatrical Trailer of SS Rajamouli's Epic "Baahubali".INSANE Visuals!!! Rate it out of 5. Give Your Views. BOI declare Bahubali - The Beginning as a Blockbuster. Data updated by BOI.